One of the most fun parts of creating your own games within The Endless Mission is the ability to fine-tune the gameplay to your liking. This includes everything from cosmetic customizations like color and lighting to gameplay elements like avatar jump height and enemy AI. You’ll access all of these customizations using the Modding Tool. 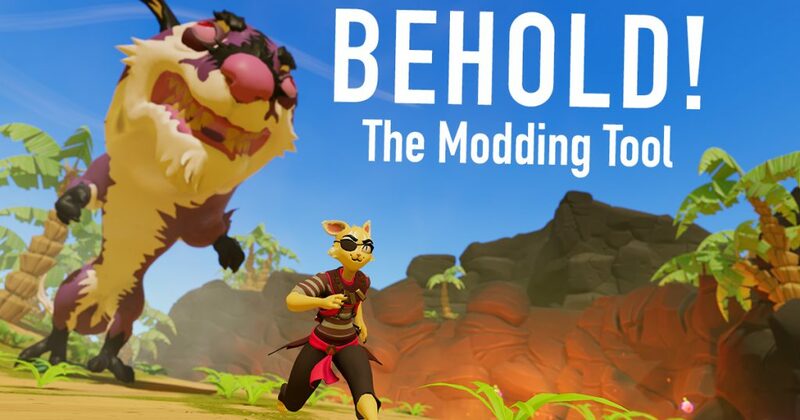 What is the Modding Tool and How Does It Work? The Modding Tool allows you to modify parameters of game objects within a game — all in run-time. To access the Modding Tool, you’ll pause the game and, using a simple graphical interface, modify many aspects of a game’s Avatar, Scene, and Gameplay at the click of a button. Once you’ve made the changes you’d like, hit “play” and the game picks up right back where you left off. The Modding Tool is available in any core gate game, mashup as well as community-made games. Our goal is to create as much flexibility as possible in tuning the games. What Can You Mod With the Modding Tool? Each set of variables has a number of parameters that you can modify – from the size of your avatar, the damage enemies deal, to the fog and weather. Below is just a sampling of the individual parameters you can modify with the Modding Tool. As we expand into more genres, this list and the possibilities of mixing them together will grow exponentially. Got a question for us about the Modding Tool? Leave it in the comments below or drop us a line on Twitter.